Mingmei Yip grew up in Hong Kong, studied in Paris and now lives in New York City. 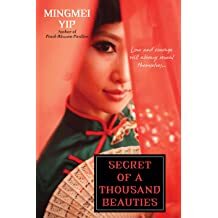 "Yip's lush, evocative novel....combines legend, mythology and Gothic elements into a magical coming-of-age tale"
Her 6th novel is Secret of a Thousand Beauties (Kensington Books), the story of a young woman forced into a 'marriage' with a dead man. She escapes and finds a home with a former imperial embroiderer who teaches her this art. Her students are to remain celibate, a requirement that forces them to keep their romantic life secret. 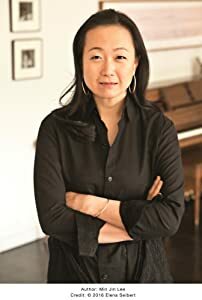 "Fans of Yip's previous novels and Anchee Min's latest memoir, The Cooked Seed will enjoy this emotionally poignant novel." 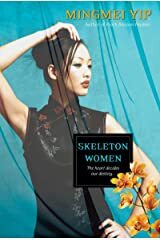 "A guilty pleasure...This is a large box of chocolates..." Skeleton Women, RTBook, 4 starred review. 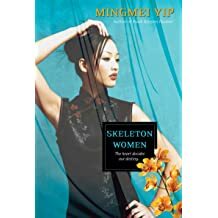 Mingmei had her first essay published when she was fifteen. 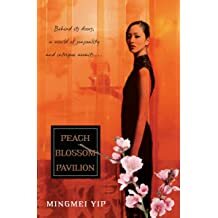 Her debut novel, Peach Blossom Pavilion, the story of the last in the Chinese tradition of poet-musician-courtesans, was published by Kensington in 2008 and became an instant bestseller. 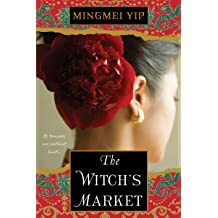 Since then, Mingmei has written seven novels. 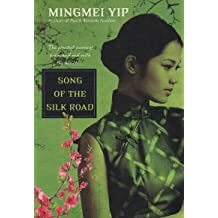 Her other novels include Skeleton Women (Femmes fatales, singer/spy, magician and gossip columnist, all scheming to survive in lawless Shanghai); Nine Fold Heaven (journey of a singer/spy trying to re-unite with her long lost lover and baby son--despite the threats of gangs); Song of the Silk Road (an adventure on the famous ancient silk route with the lure of a three-million-dollar award) and Petals from the Sky, all published by Kensington Books. 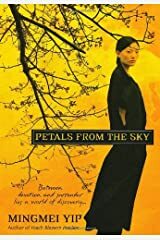 Petals from the Sky is the story of a young Chinese woman who escapes her dysfunctional family to become a Buddhist nun - only to realize she had run away from her own heart. 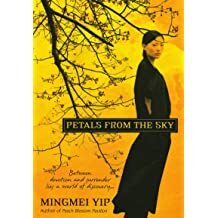 Petals was inspired by Mingmei's life since she befriended Buddhist nuns in her youth and was once groomed to be one. Mingmei also writes and illustrates books for children. 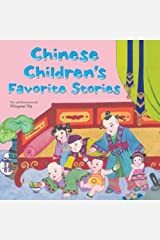 Her Chinese Children's Favorite Stories is a delightful selection of thirteen Chinese folktales. 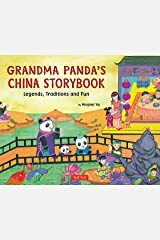 Inspired by her father's nightly story-telling when she was a child, Yip hopes that by retelling some of these thousand-year-old Chinese stories, she can pass along Chinese culture to many readers. 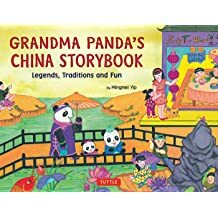 Children will also enjoy Mingmei Yip's other collection Grandma Panda's China Storybook - Legends, Traditions, and Fun, also published by Tuttle. 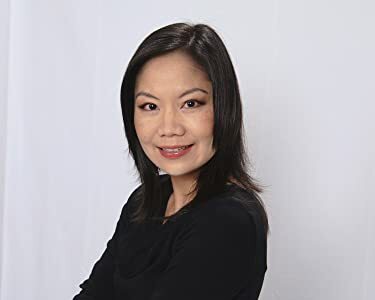 Mingmei has appeared on over 60 TV and radio programs in Hong Kong, Taiwan, China, and the United Sates, as well as many newspaper interviews. 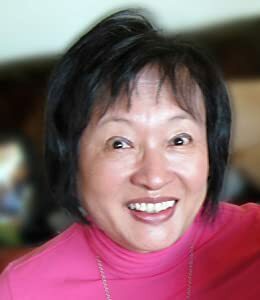 She has published five prior books in Chinese and wrote columns for seven major Hong Kong newspapers. 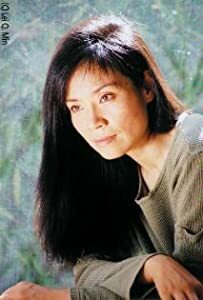 Her song lyrics have been published and performed in Hong Kong, Taiwan, and the U. S.
Mingmei received her Ph. D. from the University of Paris, Sorbonne. 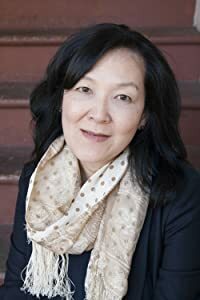 In Hong Kong, she held faculty appointments at the Chinese University and Baptist University and has published two academic books and over fifty scholarly articles. I've always been fascinated by women who use their beauty, talent, and especially intelligence to achieve impossible deeds. 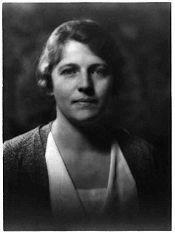 My novels are about such strong, diligent, unflinching women who worked against all odds and succeeded. I like happy endings because life, as Buddhism says, is already full of suffering, so why add to it with an unhappy ending? How we can navigate our way across the sea of suffering to the other shore of happiness, is what I am interested to write about. 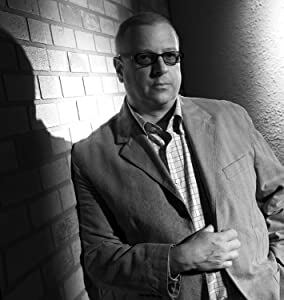 I want my readers feel uplifted after they read my books, to know that in life, struggles are unavoidable but it is usually in our power to make them end well. There are happy outcomes in life, too, not just in fiction. Nevertheless, getting to the happy outcome requires that we use our judgment in deciding when to strive and when to just go with the flow. In doing so, we can learn compassion and wisdom. Will you talk about the style in which you write - do you have rules you follow, or is the story the form? I don't think about rules when I write. I never outline but let the characters lead me along. Writing a novel, the first thing I need is an exciting situation. 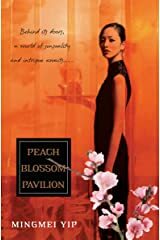 For my debut novel Peach Blossom Pavilion, I decided to write about the last Chinese geisha. 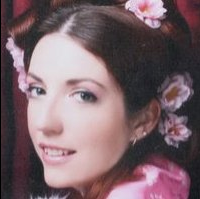 My second novel Petals from the Sky I had this idea of a would-be nun who helplessly falls in love. 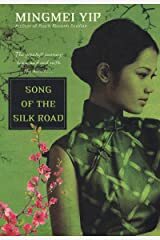 My third novel Song of the Silk Road is the self-discovery journey of an aspiring writer turned adventurer. When it is time to write my next book, ideas somehow pop into my head and I just plunge into writing. 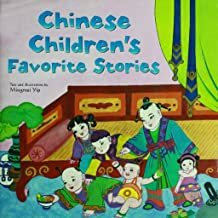 I had the benefit of growing up in Hong Kong where Chinese have been telling each other stories for more than 3,000 years and I heard many growing up. Often these inspire my novels. I love to write in my own small room in our New York apartment. The windows face uptown and the East River - giving a perfect balance of yin and yang. Whenever I need to refresh myself after long hours of writing, I just look up from my computer screen and enjoy the view from my window. I am fortune to have read a lot and traveled a lot and so these experiences provide my inspiration. 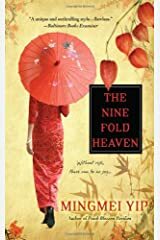 The great Chinese poet, Du Fu (712-770) said, "After you have read 10,000 books and traveled 10,000 miles, your writing will be aided by the gods." I have more than 10,000 frequent flyer miles, but I am still working on the 10,000 books. 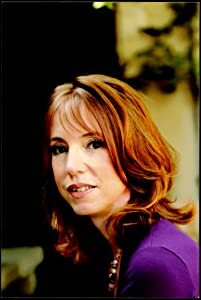 You were a columnist in several newspapers, so can you tell us a little bit about those experiences. 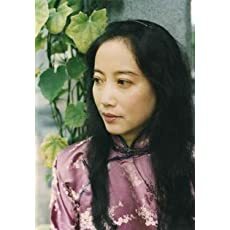 When I was a professor in Hong Kong, I wrote columns and essays both in English and Chinese on art, music, and poetry. Over the years I wrote for a total of seven newspapers. Most were weekly but for two or three years I did daily columns as well. 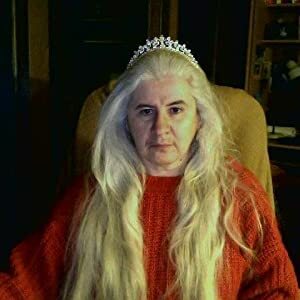 Writing a daily column is an invaluable experiences for a writer - no matter if you are sick or just not in the mood, you still have to churn out the words, day after day. You can't falter because one or two bad columns and you may lose your readers - and your place in the paper. 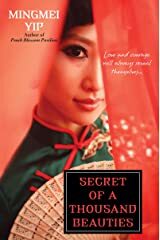 My new novel is Secret of a Thousand Beauties, about one woman's defiant pursuit of independence during 1930s China. 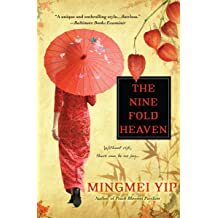 It is set in scenic Suzhou and cosmopolitan Beijing at a time when one's next door neighbor might have been an embroiderer for the last emperor. This was an era of great creative ferment, but also great turmoil with modernizers, revolutionaries, and gangsters vying to determine China's future. Women were attaining more freedom, but the old oppressions, such as the ghost marriage described in the novel, persisted. Spring Swallow, refusing to accept her fate as the bride of a ghost - a dead man -- flees on her wedding day. 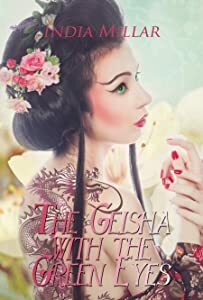 She later joins a community of supposedly celibate women embroiderers led by Aunty Peony, whose exquisite stitching once earned her the Emperor's love. Spring Swallow draws on the secret techniques learned from Aunty Peony to forge a life that is truly her own. 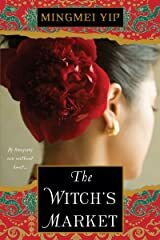 I enjoyed researching the lives of these talented but anonymous women and hope my readers will get as much enjoyment from reading about them.